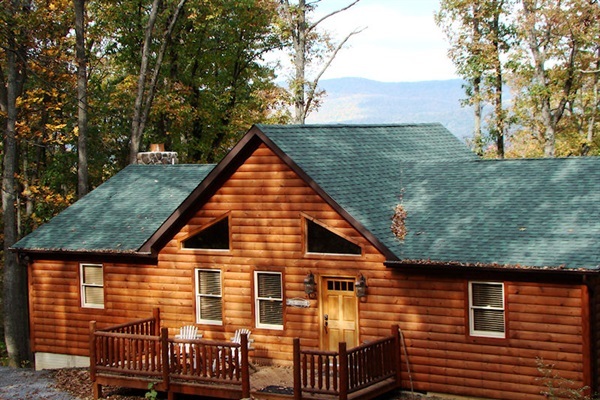 Experience an exhilarating time at a superb cabin mountain retreat located in Shenandoah Valley, Virginia. Take in and enjoy the panoramic breathtaking views of the Blue Ridge Mountains all from the expansive decking of the cabin. The Cabin is situated on the borders of the Shenandoah National Park with river access to the Shenandoah River. Luxuriously appointed yet rustically located allows for privacy, relaxation, and the perfect setting for making unforgettable cherished memories. The area has plenty to offer with a vast amount indoor and outdoor activities. It is an ideal escape for all. $295 Per Night for 2 adults (2 night minimum stay/3 night holidays/4&5 nights during high peak season). $25 additional person per night charge beyond 2 guests with a minimum of an 8 adult charge on weekends and holidays. $55 nonrefundable pet fee per pet. Dogs only with a maximum weight up to 30 lbs, maximum 2 pets permitted.